There is now an app that lets you literally take back texts you regret. 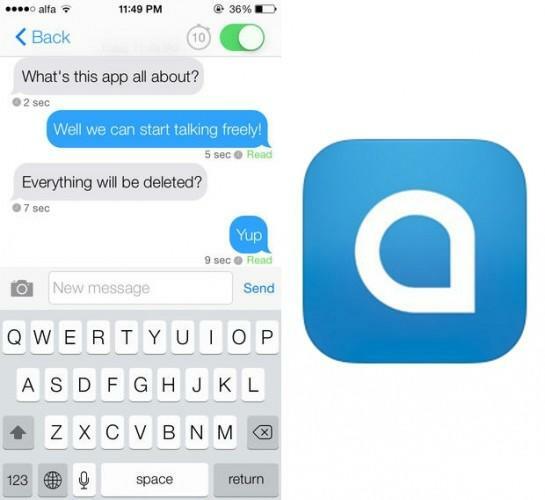 Ansa allows you to not only set your messages to self-destruct, but even delete texts you regret from other people’s phones. Essentially, it’s the app every serial drunk-texter has been waiting for. Basically, Ansa is a kind of Snapchat for texts. It lets you send “self-destructing” messages, photos and videos in the same way that Snapchat does. But its real offering is that even messages you haven’t set to self-destruct, you can “remove” from your contacts’ phones with synced deletion. … you can simply wipe it from existence. Ansa has been trialling in US colleges for the last year, but launched internationally in the last few days. It’s being billed as a rival to Snapchat. Here’s a screencap demonstrating the deletion of messages. Frankly, we’ve sent more embarrassing texts. But you get the idea.